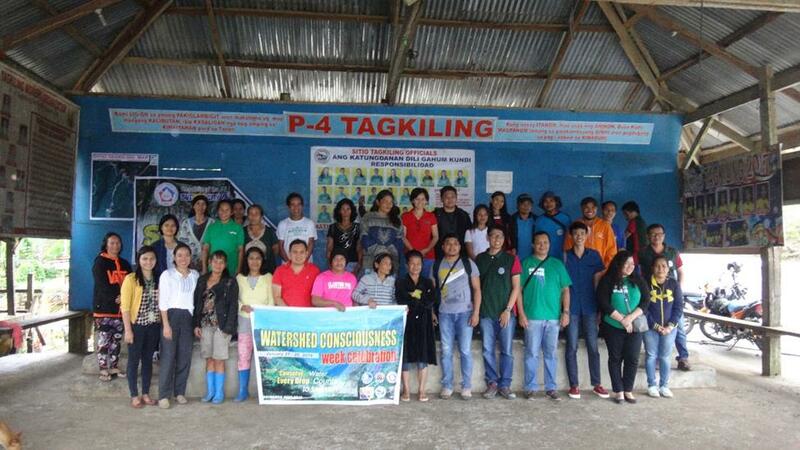 Some faculty members from Caraga State University presented inputs which enhanced the knowledge of the residents in the uplands of Taguibo for the protection and conservation of the watershed. Mr. Leo Jude Villasica presented a study on soil erosion, it effects to the lowland, and how it can be minimized thru better soil conservation practices of upland farmers. Ms. Chime Mora-Garcia lectured about ill-effects of unsanitized water and what the constituents should do to prevent the water from becoming dirty. Ms. Julie Rose D. Apdohan talked about management effectiveness of Taguibo River Watershed Forest Reserve in which the management is low due to insufficient resources, and a dearth in ecosystem maintenance. Ms. Meycel C. Amarille spoke about environmental fund which should be used for the management and protection of the forest. The Butuan City Water District (BCWD) has allocated funds for the protection of the area in capital expenditure, termed as reforestation fund. Personnel from the Environmental Management Bureau – Caraga Region who also gave lectures on forestry laws, solid waste management, and river rehabilitation.